Seattle Opera celebrates the life and the supreme artistry and mourns the passing of American baritone Julian Patrick, who died peacefully Friday, May 8, 2009. A versatile singer, Mr. Patrick had a prolific fifty-year career singing concerts, musicals, cabaret, and opera. Well-known as an acting, dramatic singer, his career took him from Broadway to the great opera houses throughout the country and world. Mr. Patrick was an important singer of American contemporary work as well as a respected Wagnerian opera singer. He garnered national press for his performances as George in Of Mice and Men and Alberich in Der Ring des Nibelungen. 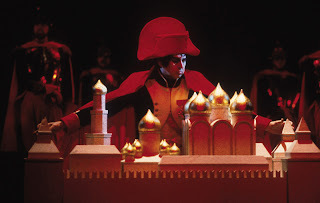 Above, Julian Patrick as Napoleon taking Moscow by storm in Seattle Opera's 1990 War and Peace. Born in Meridian, Mississippi, in 1927, Mr. Patrick came to music early in his childhood. After high school, he joined the Navy and served as a singer with Special Services. Mr. Patrick earned his BA in Music from the Cincinnati Conservatory. His first professional singing engagements were with Cincinnati Symphony and the Brevard Festival in 1949. At 23, he made his operatic debut in Mobile, Alabama, as Giorgio Germont in La traviata. Mr. Patrick was drafted into the Army in 1951 and was stationed in New York where he sang with the first Army Band. When he completed his service, he sang in night clubs and began auditioning for Broadway, where he made his debut in 1954 in Jerome Moross’s The Golden Apple. Mr. Patrick was in the original companies of Once Upon a Mattress, Ziegfeld Follies, Bells are Ringing, and Fiorello. He revisited the musical stage often in his career for roles in works like 1776, Sweeney Todd, and The Most Happy Fella. 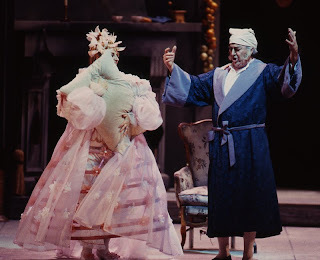 In the mid-1960s, Mr. Patrick returned to the operatic stage as a member of the Metropolitan Opera National Company, where his roles included Marcello in La bohème, Sharpless in Madama Butterfly, Figaro in Il Barbiere di Siviglia, and Count Almaviva in Le nozze de Figaro. 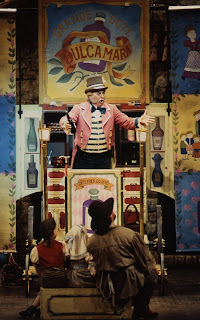 Above, Julian Patrick returned to bel canto for his final Seattle Opera mainstage appearance, as Dr. Dulcamara in L'elisir d'amore in 1998. 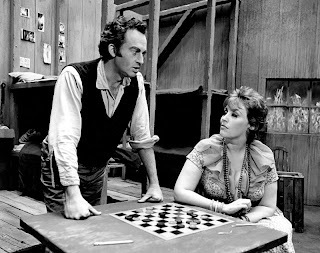 He made his New York City Opera debut in Douglas Moore’s Carrie Nation in 1968. During his tenure at NYCO and throughout his career, Mr. Patrick sang in many world premieres and revivals of contemporary American operas. His world premieres include The Tempest by Lee Hoiby, Nine Rivers From Jordan by Hugo Weisgall, and Leonard Bernstein’s Trouble in Tahiti. He worked with Dominick Argento on two world-premieres, singing the lead in Casanova’s Homecoming and the role of Movie Mogul specifically written for him in The Dream of Valentino. 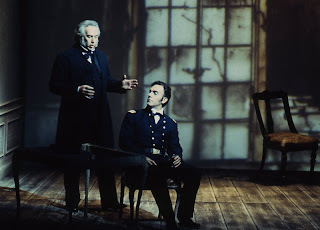 Mr. Patrick’s most prominent work in contemporary American opera was with Carlisle Floyd in Of Mice and Men. Mr. Patrick sang the role of George in the world premiere of Of Mice and Men in 1970 at Seattle Opera. He reprised his portrayal of George throughout the United States and Europe. Later in his career, he returned to the opera in the role of Candy. 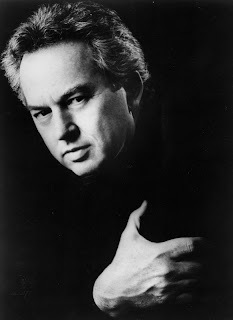 Above, Julian Patrick played Judge Townsend in Carlisle Floyd's Passion of Jonathan Wade at Seattle Opera in 1992, with Dale Duesing in the title role. Mr. Patrick sang at major opera houses throughout the United States including the Metropolitan Opera, Seattle Opera, New York City Opera, San Francisco Opera, Houston Grand Opera, Washington National Opera, Dallas Opera, and Lyric Opera of Chicago. His career also included international engagements with Netherlands Opera, Opera Marseille, Grand Théâtre de Genève, Lyons Opera, Welsh National Opera, and the Vienna Volksoper. Although his career took him all over the globe, Mr. Patrick ultimately made his home in Seattle, Washington -- onstage and off. He made several appearances in musicals at Seattle's Fifth Avenue Theatre including 1776, The Most Happy Fellow, and Sweeney Todd. Mr. Patrick sang in nearly 30 productions with Seattle Opera. 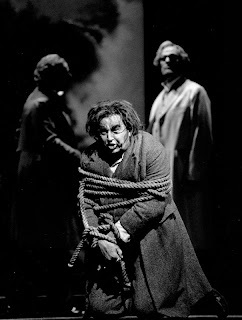 In 1984, Mr. Patrick sang his first Alberich at Seattle Opera, his other signature role, which he reprised in five presentations of the Ring at Seattle Opera. 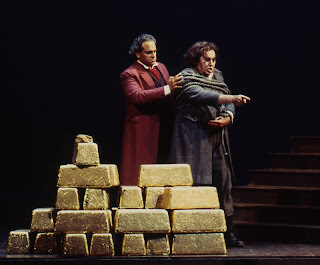 He made his house debut at the Metropolitan Opera in 1988 as Alberich in Wagner’s Rheingold and went on to sing the role for the complete cycle. Mr. Patrick’s Alberich received great critical and audience acclaim. Mr. Patrick served as a professor of voice at the University of Washington from 1990 until 2005. He served as head of the vocal department from 1996 until 2005. He continued to teach and coach young singers until his passing. Says Seattle Opera's General Director Speight Jenkins, "Julian Patrick will be severely missed in the city of Seattle, both as artist and teacher. He never gave less than his all, and we were all the richer for it." Mr. Patrick’s work was recorded for RCA, Columbia, Desto, and various other labels. His discography includes recordings of Bernstein’s Trouble in Tahiti, Floyd’s Of Mice and Men, Puccini’s Madama Butterfly, Massenet’s Manon, Douglas Moore’s Carrie Nation, Robert Starer’s Ariel, Jake Heggie’s For a Look or a Touch, and several Bernstein compilations. Mr. Patrick is survived by his partner of fifty-six years, Donn Talenti; Donn’s sister Santa May; his nieces and nephews Mark and Melanie May, Linda May and Dr. Lisa and Roland DePietto; and grandnephews Evan and Alexander May and Anthony and Rocco DePietto. A memorial service is scheduled for Saturday, June 27th at McCaw Hall in Seattle. In lieu of flowers, the family requests that memorials and tributes be made to Seattle Opera, PO Box 9248, Seattle, WA 98109. Julian, the glory truly was thine. for your excellent paen to Patrick, Julian!! My condolences to Donn, who had the good fortune of such a long partnership with such a great artist und Mensch!! 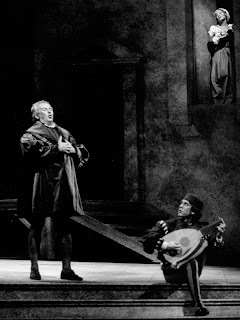 After attending a sitzprobe rehearsal of Meistersinger in November of 1985 at the Chicago Lyric, I saw the amazing Beckmesser sitting in a backstage hallway by himself; I introduced myself and told him how thrilled I was with his performance--every note actually sung, and brilliantly acted, to boot! We chatted for a bit, and it was obvious that this gentleman (Julian Patrick, of course) was as warm and genuine a person as he was talented. A few years later, he returned to the Lyric as Faninal, and I decided to leave him as message; he responded, and we had a very nice lunch at a nearby sushi place. He was SO damned kind and considerate...and I think he was rather taken aback that I was fascinated by his Broadway career during the 50's, which we discussed in detail (also his performance in a Belgian [I think] TV production of Menotti's opera THE HERO, in the main role of David). During this lunch, he also told me of his career as a POPULAR singer in NY, during which time he recorded a 2-sided single (45RPM) of songs by a young composer named Jerry Stevens ("Give a Fool a Chance" & "A Woman's Work is Never Done"--Academy Records, 1955). Turns out that "Jerry Stevens" was actually Joseph Stefano, who went on to write the screenplay for Hitchcock's "PSYCHO" and produce and write TV's OUTER LIMITS in 1963(Yes, it's true!). I then called my dad, Mike Rapchak, a well-known Chicago DJ who had a big all-night show on WGN; he found the 45' in the station's library and actually played it on his show that weekend; "Quite a set of pipes", I recall him saying on the air. Julian Patrick--one hell of a guy.